Nice addition to the neighborhood. The cornbread is a must-have, the shrimp and grits are “Clean your plate” worthy and the Catfish po-boy is fantastic. Very welcoming vibe with really good cocktails. The biscuits come with a jam and a cinnamon butter that is so dang good. Shrimp and grits are good but should be a tad spicier and flavorful. A nice franks hot sauce concoction would be grand. Gumbo and Blackened Catfish Po'Boy over rice are a must. Don't skip the cornbread and appetizer shrimp. Cans of Heady Topper from VT are a nice touch. 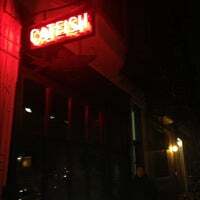 Great slice of Cajun in Crown Heights. New Orleans-style restaurant that also draws a bar crowd. While many dishes aren't perfect, the place is a homey and satisfying addition to the neighborhood. Have one of their bloody Mary's - they are incredible. Everything else is generally awesome too! 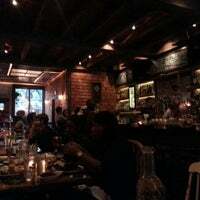 My fave place to eat in Brooklyn. Good luck finding another restaurant these days serving $10 and $12 entrees! 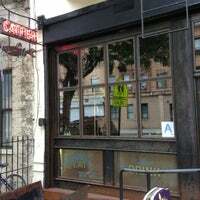 Catfish is bringing New Orleans dishes to Crown Heights at very reasonable prices. With a backyard for the warmer months! Love love the atmosphere! Great service and the food is pretty good. If your a person who has never had grits and your trying it for the first time this is the place to go!! The food and drinks are great! The only problem that I had was the wait for the food. Had I not gone there with some family members to chat with, it might've been a pretty awkward experience. Must try the corn bread. Its to die for. Great lighting and atmosphere. The food is tasty. 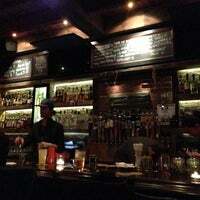 The bar is cool and the bar tenders are friendly. Gone back a few times already . 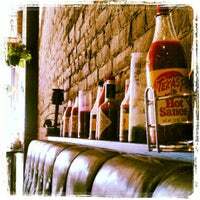 Everything on the menu offers a good southern flair. Mac n cheese is awesome, had the mushrooms they were great ,did not have room for dessert but the bread pudding looked good. This place is great. Amazing cornbread and po boys. The deviled eggs appetizers are a must. Lots of different kinds of Abita beers. The gumbo is smoky and delicious and the boudin balls are the perfect hearty savory snack to nibble with cocktails. The host Brian is AMAZING and made our evening. Great Vibe. The wait staff is so pleasant and easy going. Get the collard greens, shrimp and grits and jumbalaya. Yum! The cornbread is good, but the flavored butter they serve with it is TO DIE FOR. I also liked how the menu had clearly labeled vegan options. I'll definitely come back. Catfish po'boy all day. Unless you go with a friend, in which case get the jambalaya + po'boy and go halfsies. Also bingo on Monday nights is a ton of fun. All the food is good. Drinks are strong. Brian the bartender is awesome. 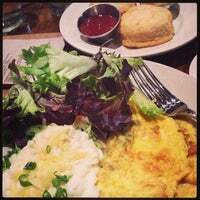 For brunch, I really enjoyed the Country Fried Steak & Eggs with garlic cheese grits and country gravy. A reliable rotation of Abita drafts. Don't miss the black eyed peas and andouille sausage side dish - tasty and big enough to be a modest main. The best mussels i've ever had (the mussels themselves as well as the sauce)! Hurricane tastes like happiness in a glass, the crawfish Mac 'n' cheese is melty, fiery, crawfish-y goodness. Was disappointed in the po' boy though. If you want good a good po' boy, check out NoBar. The food and cocktails here are amazing! You can't go wrong with the po boy or jambalaya, it will make you feel like you're in New Orleans. Catfish is totally AWESOME.. Fave drink the Pims Cup( cumber lemonade spiked). 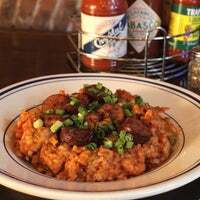 the jambalaya,craw-fish mac and cheese is freakin amazing. The chicken with biscuits and gravy is so f-in good. Also you cant go wrong with the po boy either. Love this place! Jambalaya, crawfish bisque, and oyster selection were winners. Get the Sazerac cocktail. It's faithful to the New Orleans version. The chicken fried steak was absolutely delicious. I'm not a grits person but those tasted really good but that apple pie they served for dessert was the TRUTH. I almost ordered seconds of the pie! Dollar Oysters during happy hour, and the fried chicken po' boy is amazing. Checkout the garden in the back. Get the namesake Catfish Po' Boy over rice for a solid meal. Want something smaller? a snackeral? Do the crabcakes! catfish, crabcake,roastbeef sweet potato all good. cornbread good not a fan of the butter. Hurricane was the truth!! *food was shared, im not that greedy. Best catfish po boy and awesome m&c. Good selection of NoLa beers on tap. Nice vibe! 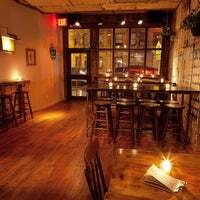 Upcycled ambiance, comfortable, long bar, $1 oysters, nice staff and a garden. An oasis on Bedford. The shrimp and grits is excellent on the brunch menu. And the voodoo bloody Mary is a meal in itself!!! 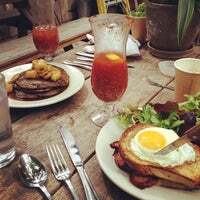 Great brunch place with solid Bloody Marys and hearty breakfast foods. Catfish po boy hit the spot. All the po-boys can be served over rice. Try the catfish over rice. One of their best dishes. 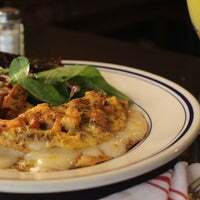 Shrimp and grits with a side of pancakes OR biscuits. So many drink options, it's impossible to not find anything. Great brunch cocktails. Really enjoyed the Milk Punch (brandy, cream, vanilla, sugar & nutmeg). It's not as authentically Cajun as I had hoped, but still tasty. The drinks and the service are awesome! 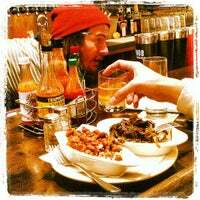 HAPPY HOUR EVERY DAY 4:30-7:30pm $1 Oysters & $2 off Drinks Bayou B.I.N.G.O. 8-10pm, every Monday! "Three words for you: red velvet waffle. And yes, it’s as delicious as it sounds. 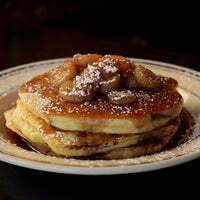 The Southern fusion hotspot on Myrtle really takes chicken and waffles to new heights with its offering." "It doesn't matter what you get here. I'm a bit partial to everything seafood but it's all good. Do yourself a favor and get some banana pudding to go. Delish"
"The Duck & Pickled Onion Melt is delicious! Comes with sweet potato or regular fries. If you like your drinks sweet, the Sister Rosetta is delightful and refreshing." "Friendly, neighborhood bar. 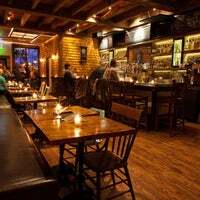 Good selection of whiskeys / bourbons and local craft beers. 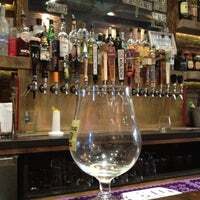 Happy hour until 8pm - $2 off beers 🍻"
"Amazing backyard and great beers on tap. Very welcome addition to the neighborhood!!" "Come here on a warm, summer day and grab a beer. They have happy hour from 11-4 on Sunday's! 5 drafts! The fries also look delicious."